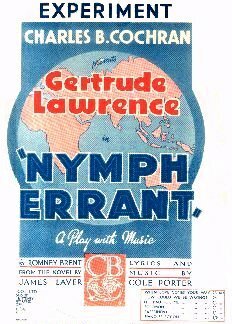 Cole Porter wrote “Experiment” for the West End musical Nymph Errant, which starred Gertrude Lawrence. The song is one of Porter’s more popular songs for singers including Mabel Mercer, Mel Tormé, Joe Williams and Bobby Short. “Experiment” was recorded in 1975 and was released on Tony Bennett Sings Life Is Beautiful. It was arranged by Torrie Zito.